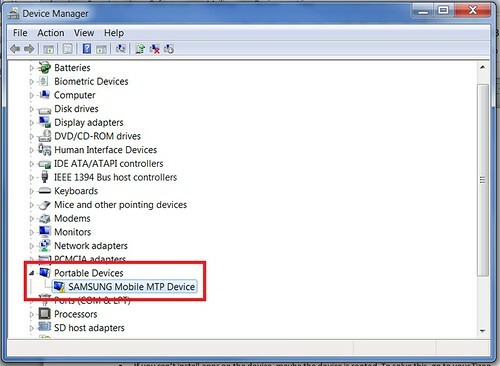 When you get your Tizen SDP (in this case: model RD-PQ) you will need to make some tweaks in order to start working properly. Here I will present to you a step by step guide on how to start with your new device. 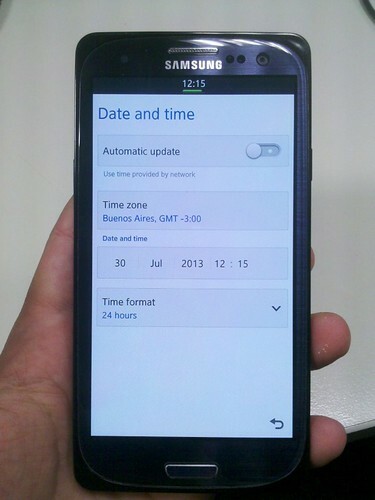 Go to “Setting -> Date and time”. Check that “USB Debugging” is enabled. 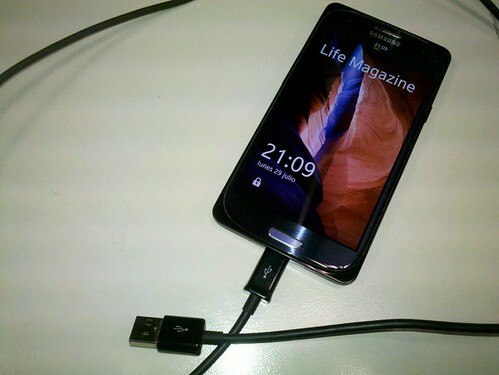 Please connect the phone using the micro-USB cable provided to your USB port. 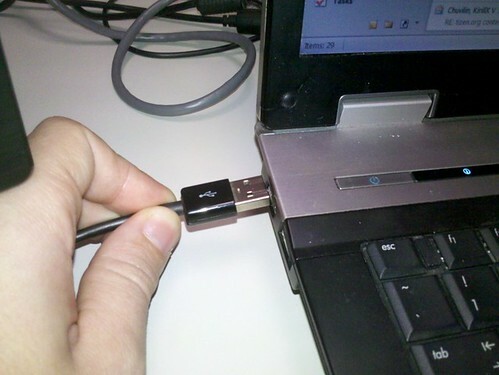 On Ubuntu and on MAC you don’t need to install drivers for this device to work. 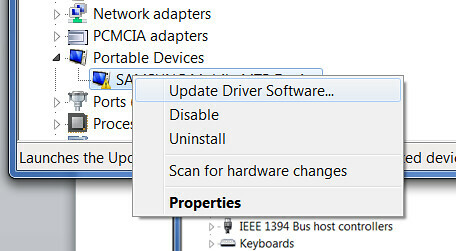 Windows will start looking for drivers. MTP USB Device will not install. To find a solution for this problem, we have 2 possible ways. 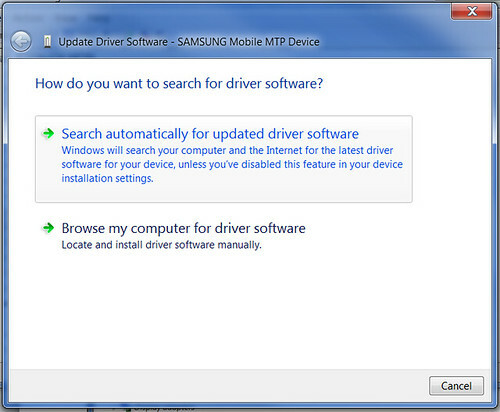 And you can select to look for the driver again on the web. 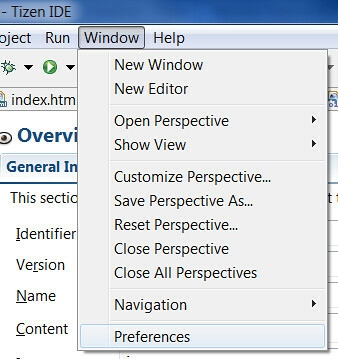 to find a way to see it in Windows Explorer. If you need to push in/out files to the device, please use the Connection explorer for that. Go to the connection explorer and click on the “Push icon”. This means your device is not “rooted”. 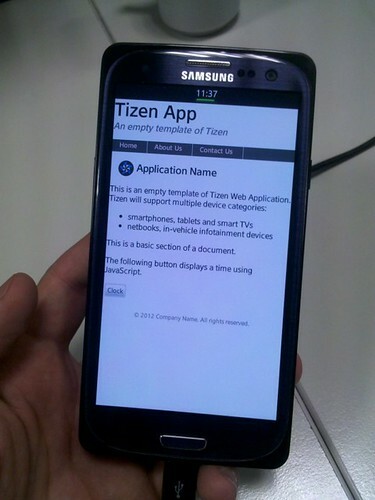 For fixing this issue, you have to go to your “Tizen-sdk” installation folder. 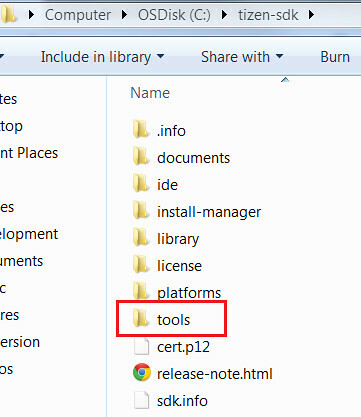 Inside the “Tools” folder, you can find “sdb.exe”. we are going to use this tool to root the phone. 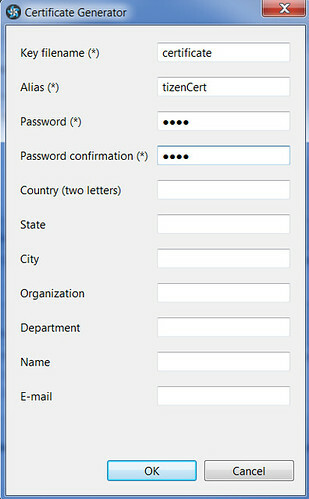 Run “sdb”, and you will see all the options you can work with. 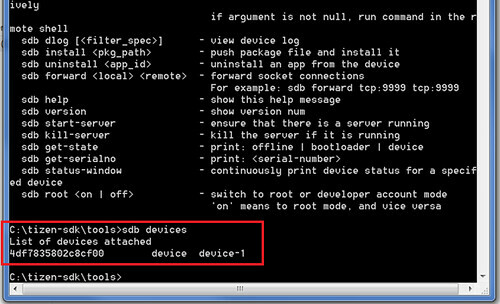 Now, to check if the device is visible by the tool, please execute “sdb devices” command. You can see that my device is detected. 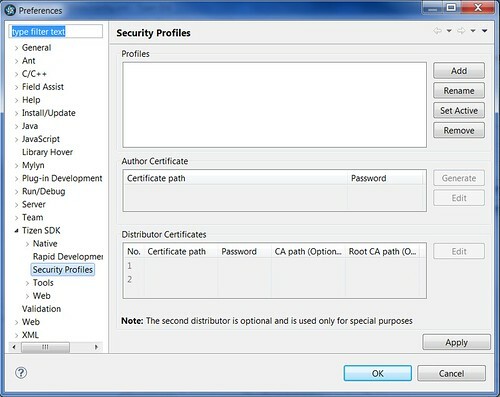 Then run “sdb root on” command. Now your device is Rooted. And then the file is on your device. 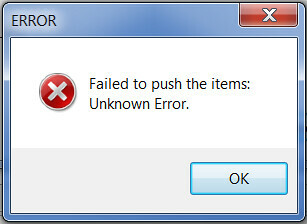 When you are trying to install/deploy an app on your device, you may get this error. It is basically asking for a certificate. 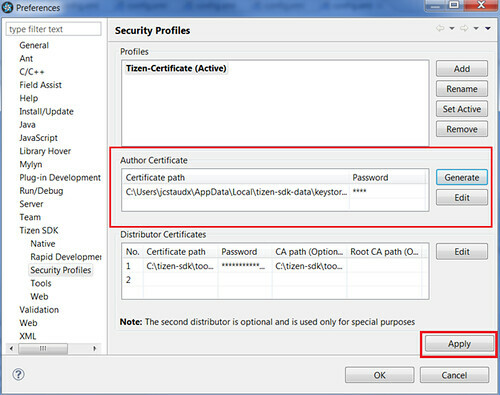 Using the 2.2 version of the SDK, is very easy to create certificates for your apps. 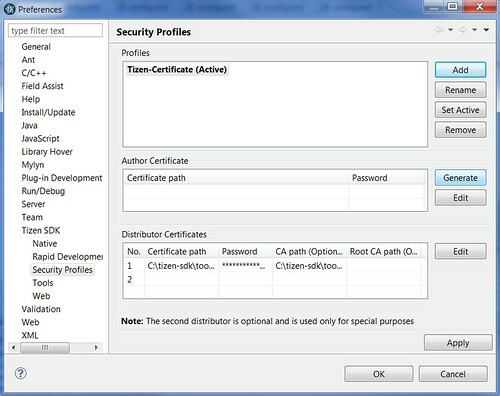 And now we have to generate the certificate. Click on “Yes” so you get the path set up. Click on “Apply” and now you have the certificate ready. Now you can install an APP on your device. Tizen Community Manager for Spanish Communities. 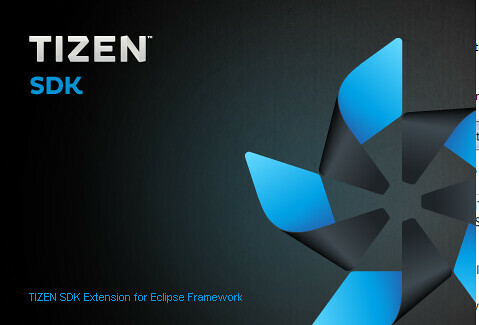 The developer devices are actively being distributed at Tizen Labs and Hackathon events. This could be the fastest way to get the devices to start working on it. sir how do i get this device as because i m getting some trouble in running my app and due to this my app is in the middle of its developement.